David didn’t come out of last week’s Tribal very well—he wasted his idol, and then one of his allies went home in the rock draw. They’re continuing the very clear David vs. Zeke setup started last week, as Zeke very gleefully recognizes the topsy-turvy Tribal benefitted his alliance. The reward winner having to pick people to bring their loved ones on reward as well is always so uncomfortable. It’s like the worst playground team pick of all time. Adam hearing from his brother that they stopped treatments on his mother is tough to watch, especially considering this. Will decides he wants to start making big moves, and that move is to flip and team up with David to go against Zeke, and he declares it in the emphatic confessional style of someone getting voted out very soon. 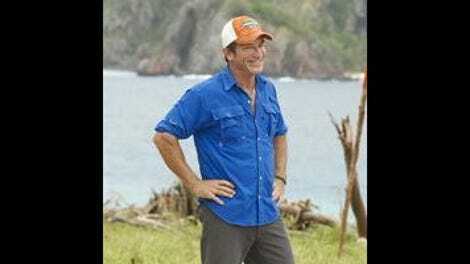 Zeke decides to switch the votes to Ken out of fear David has an idol. Will decides to tell Ken, which turns into Ken inciting a bit confrontation within Will’s original alliance and ruins David’s plan to vote out Zeke. Ah, Ken. Ruining things with terrible gameplay yet again. Tribal lays out all of the alliances and divisions in the tribe immediately, showing Will’s place directly in the middle (and angering Will again that no one takes him seriously). Then everyone tries to pitch Will on why he should join their side. And then, for some reason, Adam decides to play his idol for Hannah because she whispers that she thinks she’s going home. Sixth sense, maybe? It’s a good sixth sense, because the other side votes for Hannah and all of her votes are nullified, meaning Zeke gets voted out instead. Wow. So the other side was so afraid of David’s idol they didn’t vote for him or Ken, and that fear burned them in the end when an idol came from somewhere they didn’t expect. The idol is coming from inside the house! What a fun game this is.